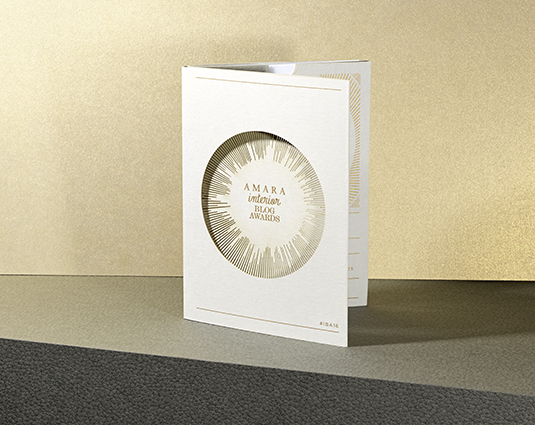 Our third year creating the Amara Blog Awards invitation and awards themselves! 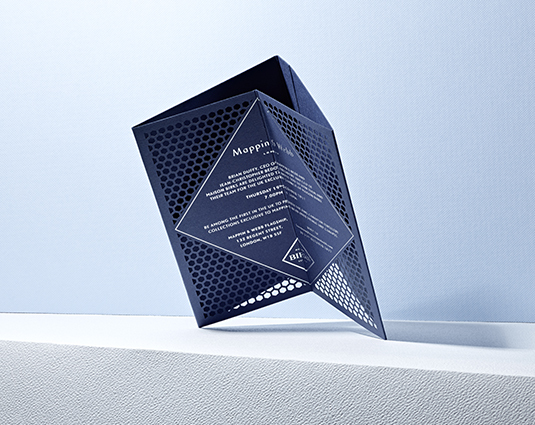 Following from previous years we worked with the awards stand-alone branding to incorporate it within the invitation and awards themselves. 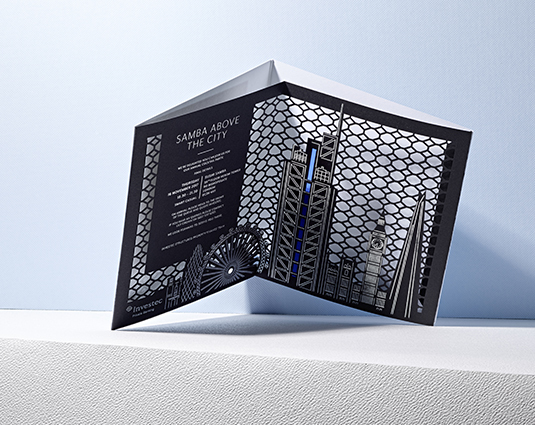 This year a geometric pattern, alongside a marble design, illustrating Amara’s new in-house designs were used, a simple diamond folded invitation with laser cut detail and gold foil accents. 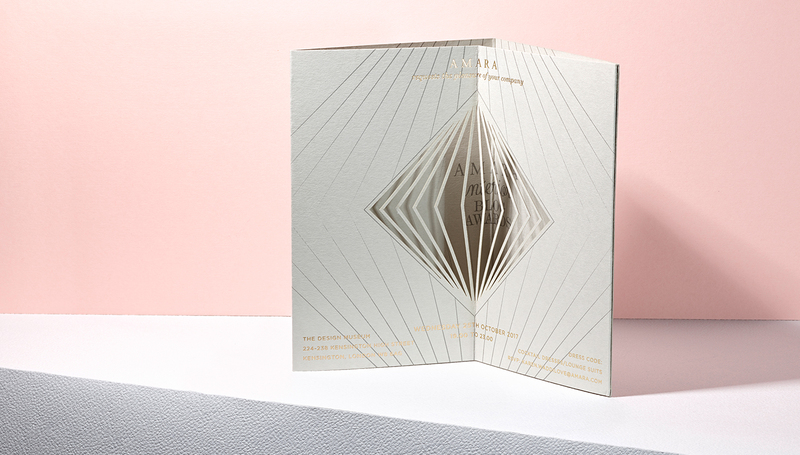 The award designs themselves followed the same format as previous years, layering thick acrylic with etched designs and card riveted together. 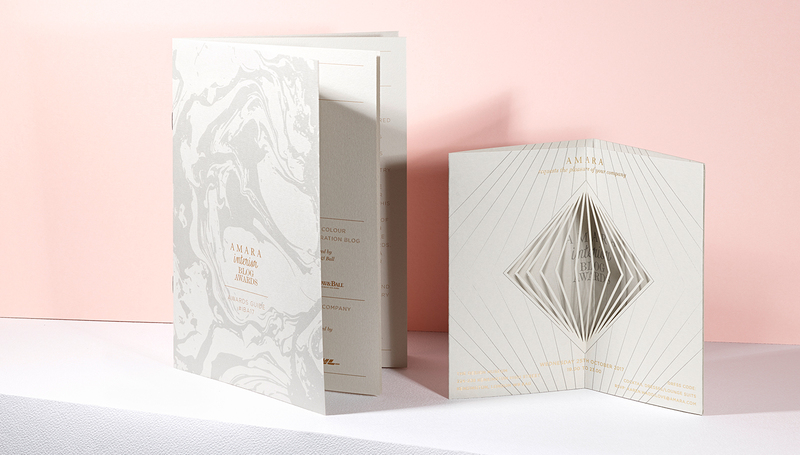 We created the information booklet and ‘tweet’ cards to coincide with the design of the invitations and awards.